Apatite is a calcium (Fluoro, Chloro, Hydroxyl) Phosphate and belongs the the Apatite Group of crystals. Apatite is actually three different minerals depending on the predominance of either fluorine, chlorine or the hydroxyl group. 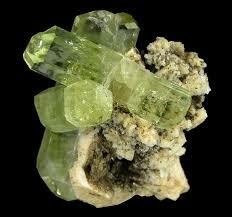 The names of these minerals are Fluorapatite, Chlorapatite and Hydroxylapatite. The majority of Apatite that is available today is fluorapatite as chlorapatite and hydroxyapatite are extremely rare. ​Apatite has inspirational properties. The interface point between consciousness and matter, it is a stone of manifestation and promotes a humanitarian attitude, inclining towards service. ​It balances the physical, emotional, mental, and spiritual bodies, and the chakras, eliminating over-activity and stimulating under-activity. When used with other crystals, Apatite facilitates results. 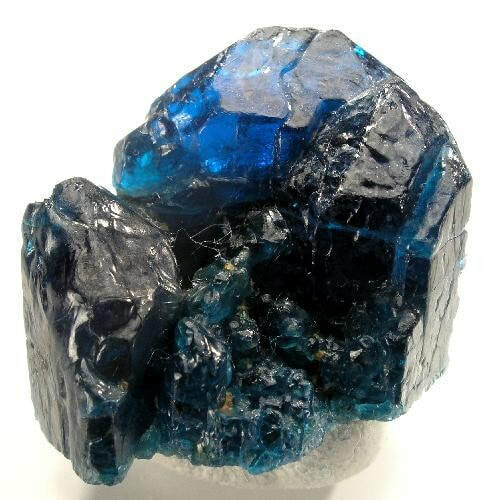 The Blue and Purple Apatite Crystals are used for the throat chakra. Meditating with the crystal will enhance self expression, communication and patience. It will also accelerate the healing of ailments of the mouth, throat and thyroid. ​Yellow apatite activates the solar plexus chakra and draws off stagnant energy. By releasing ​​energy in the base chakra, all the apatite colours clear frustration and endorse passion without guilt. Apatite is helpful for hyperactivity and autism in children. ​Apatite heals bones and encourages formation of new cells. It aids absorption of calcium and helps cartilage, bones, teeth, and motor skills and ameliorates arthritis, joint problems, and rickets. Yellow apatite suppresses hunger and raises the metabolic rate, encouraging healthy eating. Yellow Apatite heals the glands, meridians and organs. Yellow apatite is a great eliminator, especially of toxins. Yellow Apatite treats chronic fatigue syndrome and poor digestion. Yellow apatite will help you overcome lethargy, depression, lack of concentration, ineffective learning. It removes cellulite and treats the liver, pancreas, gallbladder and spleen. Blue apatite provides support for the immune system. Blue Apatite lowers high blood pressure, strengthen muscle tissue and sharpen your motor skills. Apatite expands knowledge and truth and eases sorrow, apathy, and anger. It reduces irritability an overcomes emotional exhaustion. Blue Apatite releases the idea that you deserve to suffer, it releases grief for yourself and the state of the world. Helps you let go of pain thereby allowing you to embrace peace and joy. Yellow apatite will help people who suffer from protective obesity. 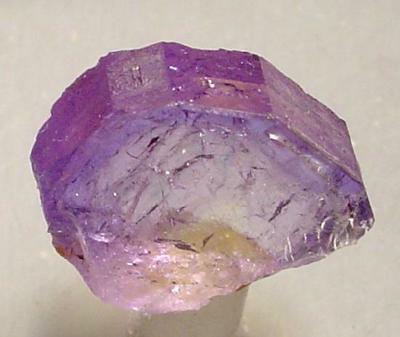 ​Purple apatite stimulates creativity and the intellect. Apatite increases motivation and builds up energy reserves. It induces openness and social ease, encouraging extroversion, dissolving aloofness and alienation. It draws off negativity about yourself and others. Blue apatite facilitates public speaking, enhances group communication and heals emotional maladies. 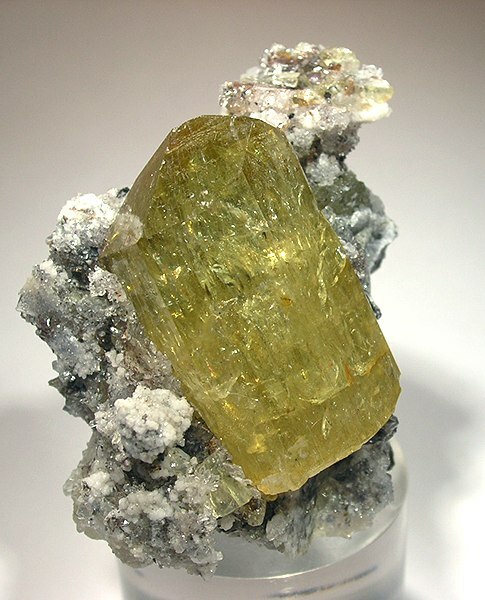 ​Yellow apatite neutralises stored anger. Yellow apatite helps you release emotional pain and the feelings that you deserve to be poor, in pain and have bad luck. Apatite is attuned to the future, yet also connects you to past lives. It develops psychic gifts and spiritual attunement, deepens meditation, raises the kundalini and aids communication and self expression on all levels. ​Blue apatite connects to a very high level of spiritual guidance. Apatite brings openness and sociability. It encourages liveliness, motivation and drive. It helps exhaustion, reduces irritability and aggression. Apatite balances extreme alternating states of excessive activity and lack of drive. Physically apatite enhances growth, building up, and de-acidification. It promotes fitness, a healthy appetite, and mobilises energy reserves. Apatite encourages the formation of cartilage, bone and teeth. It helps with posture problems, rickets, osteoarthritis and joint complaints.